Start shopping before the holiday rush!! 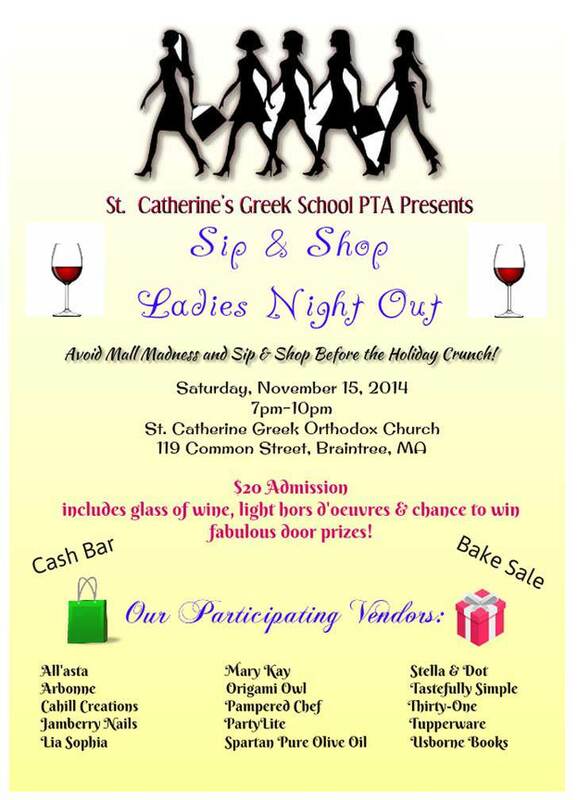 Join the ladies from St. Catherine’s Greek Orthodox Church in Braintree MA for a Sip & Shop Night! !